Planning a safari requires an expert (that's us!) and we'll happily talk you through it. Planning most holidays can be fairly simple these days, but a safari in Botswana is a different kettle of fish. In Paris, the Louvre sits on the same street corner every day - it's so simple you can pick up a map and go straight there. Being on safari is different. You're travelling to engage with the wild. You can't make the same easy guesses you can with man-made attractions in the 'real world'. A safari is about experiencing nature at its best. Animals go where the grass is greenest and water levels in the Okavango Delta go up and down in different seasons. A camp can be a mecca for wild dog one year and then the water shifts, and so do the dogs. Lucky for you, we live here and understand the patterns of the bush. We can tell you where's great for a safari in January and what to avoid in July. The camps you choose are not just where you sleep but how you experience the bush, who you experience it with and what you'll see while you're there. It's an experience to be tailor-made with an expert. We'll make sure you get it right, because you can't ditch a badly-planned safari like a dodgy hotel in Alicante by eating dinner down the road instead. Any ideas, special interests, pet hates or great passions - tell us and we'll tailor-make a safari to fit. Here are a few things you might want to know before you chat to us. Some Q&A to get you on your way. We can recommend a great safari in Botswana at any time of year, though when you travel will affect how much you spend and what you should include. Good game viewing is an easier bet in most of Botswana from June to October. These months are also when the bush is at its busiest (especially the national parks) and safaris are at their most expensive. From December to March we can get you bargain basement prices for camps that normally cost a king's ransom and this is when the Kalahari Desert and birding are at their best, although game viewing is not its strongest everywhere. Rest assured, we have plenty of tricks up our sleeves (which we'll happily share) to rival a high season safari at three times the price offered by agents who don't have our inside knowledge. How will I get to Botswana and get around? We don't book international flights because it's cheaper for you to do this direct, though we'll happily guide you on a route that makes sense. We recommend you hold (don't confirm!) flights as we plan your safari. Most camps in Botswana are remote and accessed only by light aircraft transfers which we'll organise and quote for you, removing the guess work. For first-timers to Botswana, the major draw cards are the Okavango Delta and Chobe National Park. On itineraries of eight nights or more, or for seasoned safari guests, we recommend adding the Savute or Linyanti areas as well as desert camps in the Central Kalahari, Nxai Pan, Makgadikgadi Salt Pans or Makgadikgadi National Park. For more information read about these areas or talk to us so we can recommend what suits you. National Parks have the most regulations and therefore limitations on what you can do. Generally this means no driving off-road, driving at night or walking around. On the other hand, the national parks hold the big names that people travel to Botswana for, including Chobe, Moremi and the Central Kalahari. National parks can be explored by mobile safari, self-driving or by flying into one of the camps. Private Concessions offer the most exclusivity and usually the highest price tag. There is only one mode of access here and that's by light aircraft. Botswana limits the amount of people allowed into any one concession on any night of the year, meaning you and your fellow guests in camp will have the whole place to yourself. Camps in these areas enjoy the flexibility of being able to offer night drives, off-road exploration and walking. Specifics vary between the camps, so we'll advise you on what's best. Community Areas provide a compromise between the expense of a private concession and the limited activities in the national parks. These areas are open to self-drivers, mobile safari companies, as well as the resident camps and lodges but offer more flexibility in terms of night driving, game walks and off-road driving to follow the faster-moving animals. We can set you up with anything from a mattress under the stars on the Makgadikgadi Salt Pans to your own villa with a private guide, chef and plunge pool in the Linyanti. When booking a safari camp you'll hear the word 'tent' a lot, but this hardly ever means the garden variety. 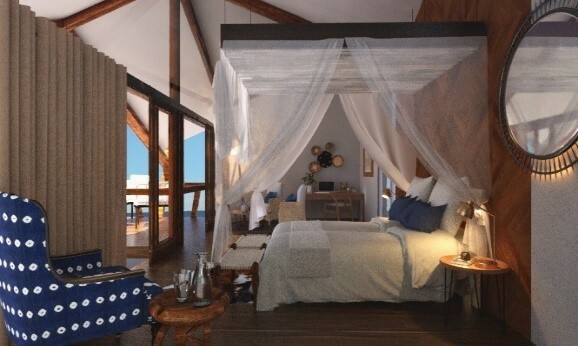 'Tent' is really just a romantic label for anything from a walk-in bedroom with canvas walls to a villa with 200 sq metres of polished floorboards and outdoor showers with a view. Get up close and personal with the bush and head out on a mobile camping safari. Travel by vehicle through the national parks, taking your guide and camp with you as you go. Pitch your own tent and roll up your sleeves over the kitchen sink; or go for luxury and stay out on game drives as the 'safari fairies' build your tent and fill the bucket shower with piping-hot water. What you'll get depends on your budget and the overall experience you're after. 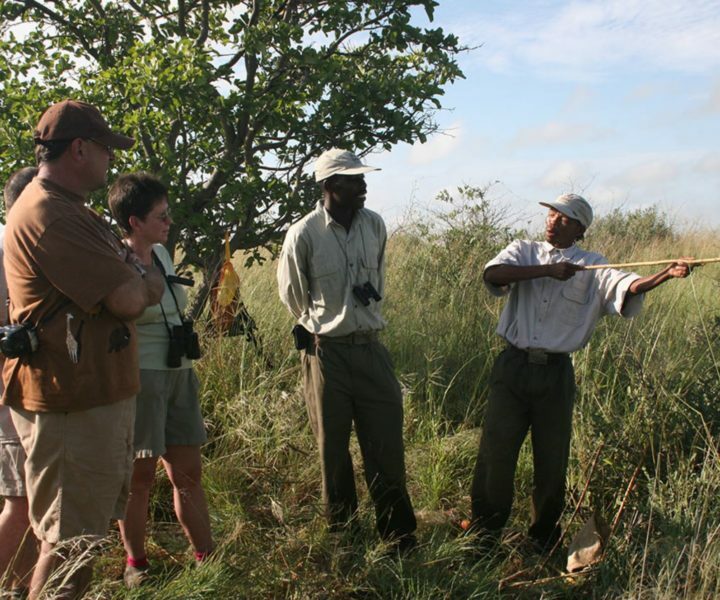 We'll discuss your preferences and explain your options when planning your safari with you. For a sample of our personal favourites, check out our camps selection. A safari can be as intense or as relaxing as you like. When a stay is fully inclusive this means all your activities are included in the rate, from game drives to walking safaris, boat cruises and mokoro excursions. You'll have the freedom to go along or stay behind and enjoy the view from camp. The activities on offer will change depending on the rules of the area you visit (whether it's a national park, community area or private concession) and even what time of year you go there. As an example, your days on the salt pans in June will be spent quad biking and sleeping under the stars while in February you'll fill your time driving the grasslands and zebra spotting. We'll let you know what to expect when we start planning. Some town hotels in areas like Kasane and Victoria Falls may not include activities as standard. We'll discuss what's possible and what we recommend based on your interests. What safari suits who I'm travelling with? Whether you're looking for a romantic honeymoon, introducing your kids to the bush for the first time or blowing the retirement fund, we can advise the extra considerations you'll need to plan for. Travel with children means talking through what's practical and safe in the bush. We may recommend private activities to allow for shorter attention spans and camps with family rooms so kids sleep safe and parents sleep sound while animals roam the night. Special requirements will change which camps we put top of the pile for you. Botswana is remote and requires a bit more advance planning for special needs with some camps catering better than others. Whether it's 24/7 electricity for sleep apnoea machines, ramps for wheelchair access or just less stairs for people who don't want the hassle, we'll find you something to suit. Groups will enjoy their safari better with a little advance planning. Whether it's private activities to give everyone a more exclusive experience or a translator to accompany your extended family arriving from abroad, we'll cover what you need. Honeymooners need a little special treatment and we know all the best places to send you for dinner in the bush, a surprise bubble bath with champagne or a roll-out bed under the stars. Didn't find what you were looking for? Click to download our safari information. Before you book your safari with us, we recommend you read our terms & conditions.